Waking up the morning after we arrived home from our vacation last week gave me a greater appreciation for the comforts of home. No longer living out of a suitcase, dependant on restaurant food, and swaying back and forth in an open sea of 20 feet swells, I love getting back to our busy routines. One of my luxuries in life is having a quiet house on the two days each week that Eli goes to preschool. With only the chorus of birds chirping in the background, I love in the silence of inactivity within the walls of my home. While I’m by myself I like to make myself a latte and a warm breakfast. 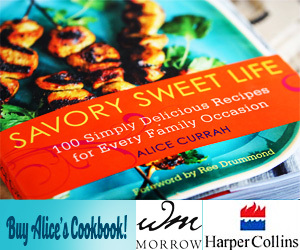 Selfishly, I get a lot of pleasure from making myself something deliciously satisfying – no kids picking apart my food and no husband to serve breakfast to. These types of mornings are just for me. Lately, I’ve been into making omelettes for myself. As long as I have eggs and cheese, which I always do, I’m good to go. 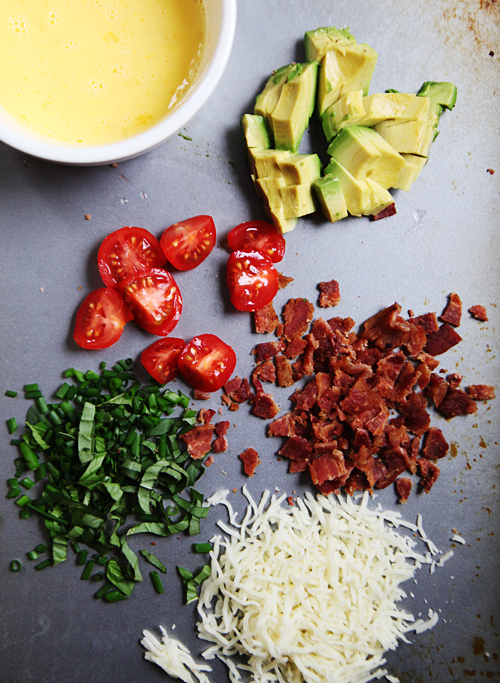 Anything in addition to cheese I add is like a gift to my taste buds. I’m thankful when I find a few slices of cooked bacon that I had saved from a couple days earlier. In the vegetable cooler I found the last of a pint of cherry tomatoes I had bought right before we left on our vacation. The chives that survived the winter and a few stems of fresh basil I had been saving were also good. Tucked behind some cheese that was only days from needing to be thrown away, I was also happy to use a ripe speckled avocado I found. 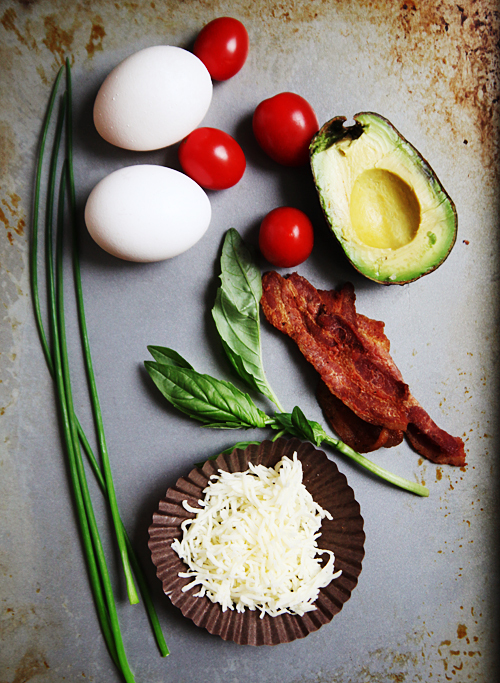 In my opinion there are many ways to prepare an omelette. What I like to do is prep my fix-ins and mix a couple eggs with a couple tablespoons of milk. 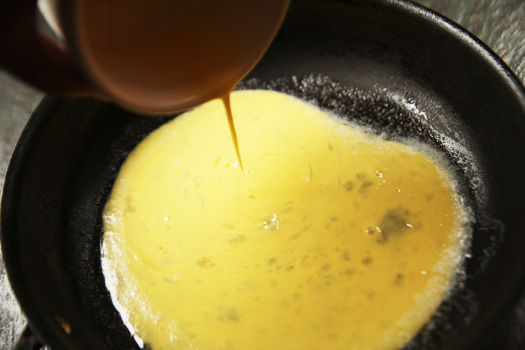 After generously buttering a non-stick skillet, I pour the egg mixture into a medium-hot skillet. Lifting the pan by its handle, I swirl my wrist so the egg spreads in a nice circular fashion covering the entire base of the pan. Then I reduce the heat to medium-low and watch the egg mixture slowly cook. Lifting the pan up to swirl once again I distribute the eggs away from the center so they will cook quicker and evenly. 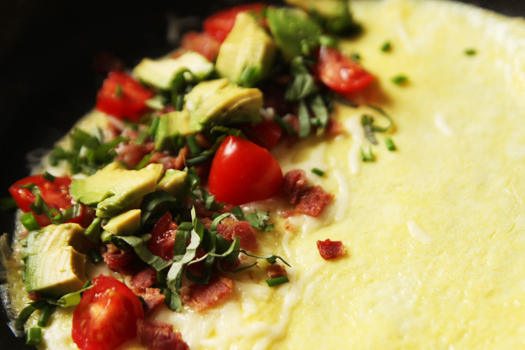 Once most of the sheen is gone from the wet eggs I sprinkle cheese and my fix-ins on one half-side of the omelette. Using a heat-proof spatula, I fold the untouched side over the fix-ins side. I usually let the omelette cook for about 10 more seconds before removing from the heat to my plate. 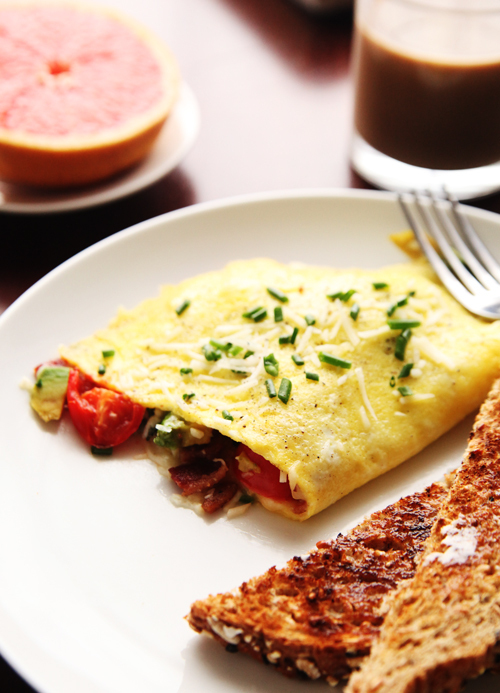 The art of making an omelette is not difficult at all and can be perfected with practice. Knowing the temperament of your own oven burners, the cooperation of a non-stick pan, and the desire to treat your appetite to a satisfying breakfast is all you need. Enjoy! 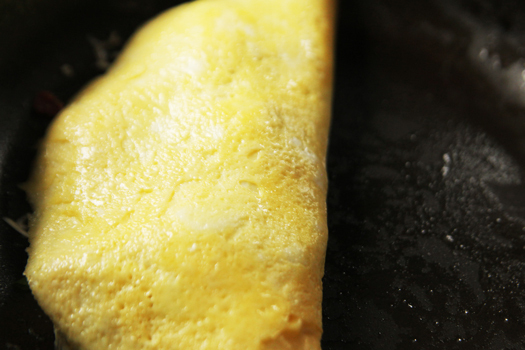 An easy step-by step guide on how to make omelettes. Beat the eggs and milk together until well mixed. Heat a non-stick medium frying pan on medium-high heat. Add the butter and coat the bottom surface completely with the butter. Lifting the pan by its handle, swirl the pan by using just the wrist so the egg spreads in a nice circular fashion covering the entire base of the pan. 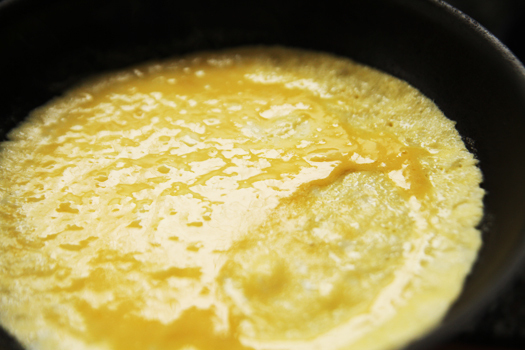 Reduce the heat to medium-low and watch the egg mixture slowly cook. Lifting the pan again, swirl the pan so the uncooked egg mixtures moves away from the center to cook evenly. 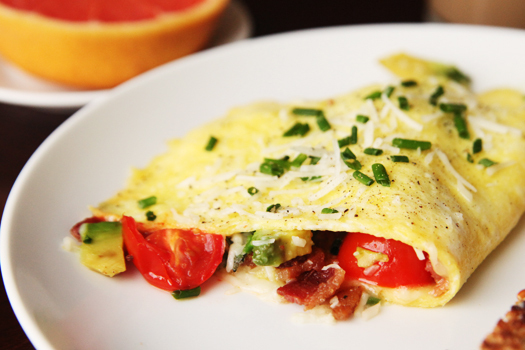 Once most of the sheen is gone from the wet eggs, sprinkle the cheese and the fix-ins on one half-side of the omelette. Using a heat-proof spatula, fold the untouched side over the fix-ins side. Cook for about 10 more seconds before removing from the heat to a plate.